Each year, the Sporting Club Network, presented by Price Chopper, hosts a reception at Sporting Park in order to bring together all of its member organizations and Academy Affiliates for a mid-year celebration. The annual event provides all those in partnership with the SCN with an opportunity to meet fellow Network members, share ideas, and reflect upon another year of Sporting success. Due to the fact that the Sporting Club Network has now grown to include more than 40 member clubs and 14 Academy Affiliates representing 8 different states, the annual reception is, realistically, the only chance for all of our members to be together in one place. That said, we hope to have as many clubs as possible make it out to the exclusive event. Programming at the reception typically consists of an introductory welcome and recap of a few of that year’s signature SCN youth soccer events and initiatives, recognition of the latest Kevin Gray Awards recipients, and a short presentation from an invited guest speaker. In the past, this special guest has spoken on the incredible impact and reach of the Sporting Club Network in the Midwest, as well as his/her own experience working in—or playing—professional soccer. Most recently, the Network was excited to have Kansas City-native and former MLS goalkeeper, Andy Gruenebaum, speak at the 2015 Sporting Club Network Reception. Finally, as an added benefit of attending the reception and being a valued part of the SCN, guests also have the chance to go on an optional stadium tour before relaxing to enjoy the electric atmosphere at Sporting Park with their complimentary tickets to that night’s Sporting KC home match. 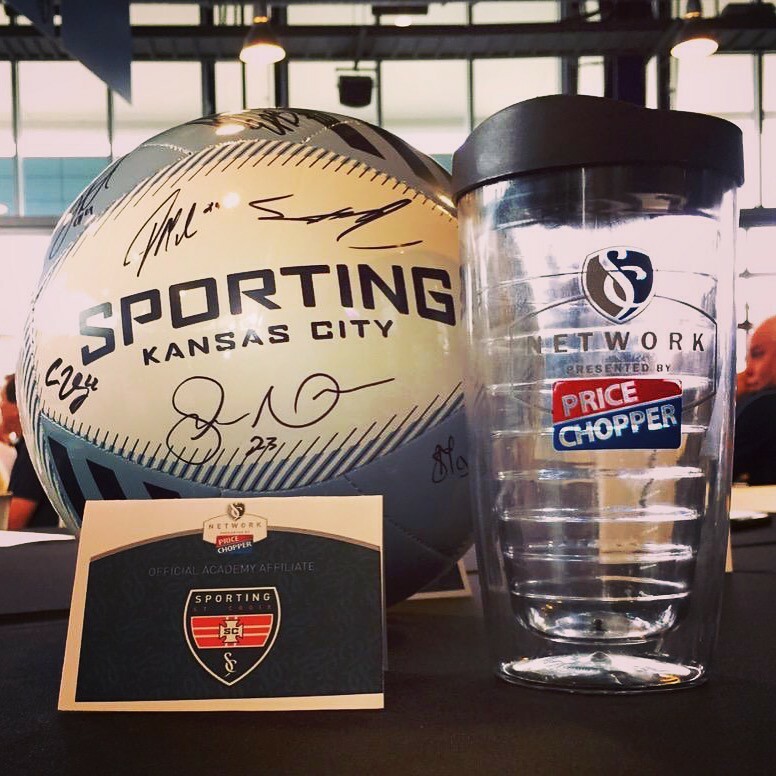 If your club or organization is interested in joining the Sporting Club Network to gain access to these exclusive events, please contact Alex Firchau at afirchau@SportingKC.com.